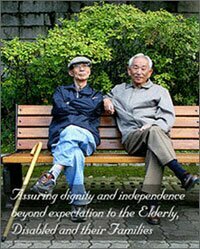 IKOR® is different from other businesses that serve the needs of the elderly and disabled. IKOR® does not provide direct care, but acts as an advocate for its clients, creating and overseeing each client's medical, environmental, legal and financial life plans. With this approach, IKOR® provides a wide range of care management services; advocacy, guardianship, care planning and coordination, financial management and routine bill payment services. IKOR® is a unique business opportunity in the senior care industry, allowing motivated franchise owners to provide a variety of badly needed services - with the support of an established organization - that make a positive impact on the lives of individuals and families in their communities. Our in-house team of highly experienced Registered Nurse Patient Advocatesand Personal Needs Coordinators provides custom services. Each client's strategic plan is based on the unique needs of that individual. The IKOR® approach helps families manage both short-term health crises and long-term care issues for seniors and disabled adults and children. From complete guardianship to a simple power of attorney, clients' best interests are always the primary focus when selecting the right solution for issues that require guardianship or other legal arrangements. Together, your dedicated team can analyze and monitor all important aspects of the client's life, such as configuration of the living environment, assuring availability of necessary items, and the coordination of all prior, current and future financial demands. The overall benefits you provide - and that make IKOR® different from other service providers - include the fact that information and guidance are provided by a highly skilled, single source within a cost conscious platform, and by a neutral party with whom both client and family members can feel comfortable. What has IKOR® meant to its clients? As we have provided services to hundreds of clients over the years, we have impacted, in a positive way, their integrity and their lives. We help empower them and show them that having certain conditions doesn't mean that life has to be extremely difficult, or in steady decline. We do this by constantly putting the clients' needs first, meeting their desires, wishes and dreams for the way their lives could be. And what does IKOR® mean for you? Everything we've done from the day we started IKOR® was with the idea of expanding and offering our important advocacy services across the country. Franchising always seemed to be a natural part of the overall plan. But now we need people like you to complete the picture. When you join IKOR® as a franchise owner, you will provide greatly needed advocacy and oversight services to meet the needs of clients in your own protected territory. But it's about much more than owning a business - it's about making an impact and creating a legacy. It's about having a passion and putting that passion to good use, by becoming a "voice" for the elderly and disabled. We hope you'll share our vision and dedication to providing critical advocacy services to people who need them most. The IKOR® USA organization is dedicated to providing both the start-up support and the ongoing assistance you need to establish and operate an efficient and effective advocacy services business. You'll have the full backing of our organization, our years of experience, our professional affiliations with major national associations, and our wide array of support services, including proprietary technology tools and training. Two weeks of training at our corporate offices in Pennsylvania. Details on how to identify the key relationships needed in your marketplace. Three days of training and marketing assistance at your location,including setting appointments with the key relationships mentioned above. Our proprietary DatIKORsm system which brings all client data, invoicing information and employee/payroll information into one seamless system. National account relationships for Trust Management Services with major financial institutions. Ongoing support for the life of your business. If you have a true desire to help those who need help and want your work to have a meaning, we invite you to learn more about us! Take the next step toward being your community's solution for the issues of the elderly and the disabled. IKOR® has identified the need, and developed the solution to address the specific medical, financial and other life issues of its clients. Our philosophy and individualized focus, our network of contacts, plus our deep understanding of various options, programs and facilities all become yours when you join IKOR®! What we seek in return is your dedication to providing services and intervention focused solely on the client. We expect you to accept each client and situation as unique and individual, and that you use your business and relationship-building skills, plus your compassion, to help ensure your clients' needs are met in the most appropriate manner. It can be a highly-rewarding venture in so many ways. Contact us today to find out more about the IKOR® franchise program and begin your journey toward discovering if IKOR® is right for you. Please Note: This IKOR USA, Inc. advertisement, and all other franchise opportunities, franchises for sale, business opportunities, businesses for sale, franchise financing providers, and other advertisements on this website should not be considered an offering or solicitation, and they are not recommended, endorsed, or approved in any way by TopInternationalFranchises.com. All listings and advertisements on this website are submitted to TopInternationalFranchises.com by the franchise, business opportunity, business for sale or other advertiser, and that information is relied entirely on for the truthfulness and accuracy of the information provided. TopInternationalFranchises.com has no stake in these companies, and have not independently verified any of the information submitted, no responsibility for its accuracy or completeness is assumed by TopInternationalFranchises.com. Persons submitting the inquiry form are under no obligation to purchase or otherwise utilize any services offered, they are simply requesting more information on the franchises or business opportunities listed. Please review the full advertisement before responding. I'm interested in starting a IKOR USA, Inc. franchise in my area: , * My State Alabama Alaska Arizona Arkansas California Colorado Connecticut Delaware Florida Georgia Hawaii Idaho Illinois Indiana Iowa Kansas Kentucky Louisiana Maine Maryland Massachusetts Michigan Minnesota Mississippi Missouri Montana Nebraska Nevada New Hampshire New Jersey New Mexico New York North Carolina North Dakota Ohio Oklahoma Oregon Pennsylvania Puerto Rico Rhode Island South Carolina South Dakota Tennessee Texas Utah Vermont Virgin Islands Virginia Washington Washington DC West Virginia Wisconsin Wyoming International Alberta British Columbia Canadian Manitoba New Brunswick Newfoundland and Labrador Northwest Territories Nova Scotia Nunavut Ontario Prince Edward Island Quebec Saskatchewan Yukon New South Wales Northern Territory Queensland South Australia Tasmania Victoria Western Australia * My Country United States Canada Afghanistan Albania Algeria American Samoa Andorra Angola Anguilla Antarctica Antigua and Barbuda Argentina Armenia Aruba Australia Austria Azerbaijan Bahamas Bahrain Bangladesh Barbados Belarus Belgium Belize Benin Bermuda Bhutan Bolivia Bosnia and Herzegovina Botswana Bouvet Island Brazil British Indian Ocean Territory Brunei Darussalam Bulgaria Burkina Faso Burundi Cambodia Cameroon Cape Verde Cayman Islands Central African Republic Chad Chile China Christmas Island Cocos (Keeling) Islands Colombia Comoros Congo Congo, the Democratic Republic of the Cook Islands Costa Rica Cote D'Ivoire Croatia Cuba Cyprus Czech Republic Denmark Djibouti Dominica Dominican Republic Ecuador Egypt El Salvador Equatorial Guinea Eritrea Estonia Ethiopia Falkland Islands (Malvinas) Faroe Islands Fiji Finland France French Guiana French Polynesia French Southern Territories Gabon Gambia Georgia Germany Ghana Gibraltar Greece Greenland Grenada Guadeloupe Guam Guatemala Guinea Guinea-Bissau Guyana Haiti Heard Island and Mcdonald Islands Holy See (Vatican City State) Honduras Hong Kong Hungary Iceland India Indonesia Iran, Islamic Republic of Iraq Ireland Israel Italy Jamaica Japan Jordan Kazakhstan Kenya Kiribati Korea, Democratic People's Republic of Korea, Republic of Kuwait Kyrgyzstan Lao People's Democratic Republic Latvia Lebanon Lesotho Liberia Libyan Arab Jamahiriya Liechtenstein Lithuania Luxembourg Macao Macedonia, the Former Yugoslav Republic of Madagascar Malawi Malaysia Maldives Mali Malta Marshall Islands Martinique Mauritania Mauritius Mayotte Mexico Micronesia, Federated States of Moldova, Republic of Monaco Mongolia Montserrat Morocco Mozambique Myanmar Namibia Nauru Nepal Netherlands Netherlands Antilles New Caledonia New Zealand Nicaragua Niger Nigeria Niue Norfolk Island Northern Mariana Islands Norway Oman Pakistan Palau Palestinian Territory, Occupied Panama Papua New Guinea Paraguay Peru Philippines Pitcairn Poland Portugal Puerto Rico Qatar Reunion Romania Russian Federation Rwanda Saint Helena Saint Kitts and Nevis Saint Lucia Saint Pierre and Miquelon Saint Vincent and the Grenadines Samoa San Marino Sao Tome and Principe Saudi Arabia Senegal Serbia and Montenegro Seychelles Sierra Leone Singapore Slovakia Slovenia Solomon Islands Somalia South Africa South Georgia and the South Sandwich Islands Spain Sri Lanka Sudan Suriname Svalbard and Jan Mayen Swaziland Sweden Switzerland Syrian Arab Republic Taiwan, Province of China Tajikistan Tanzania, United Republic of Thailand Timor-Leste Togo Tokelau Tonga Trinidad and Tobago Tunisia Turkey Turkmenistan Turks and Caicos Islands Tuvalu Uganda Ukraine United Arab Emirates United Kingdom United States Minor Outlying Islands Uruguay Uzbekistan Vanuatu Venezuela Viet Nam Virgin Islands, British Virgin Islands, U.s. Wallis and Futuna Western Sahara Yemen Zambia Zimbabwe . Email Me IKOR USA, Inc. Text Me IKOR USA, Inc.